These dressed-for-warmth snowmen play with their birdie friends all winter long. 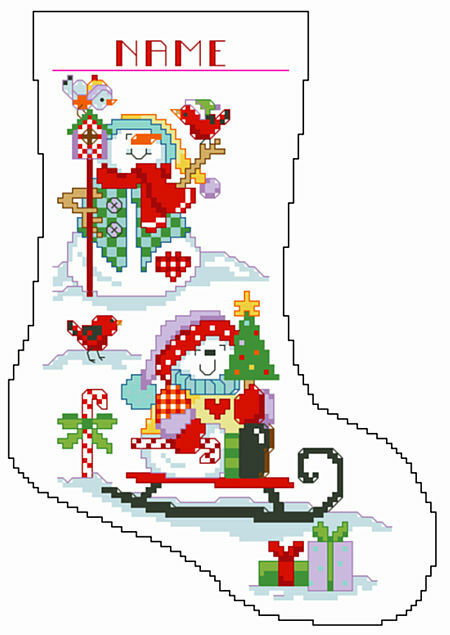 This unique stocking is worked in Big Stitch and is sure to make the winter season a happy one. 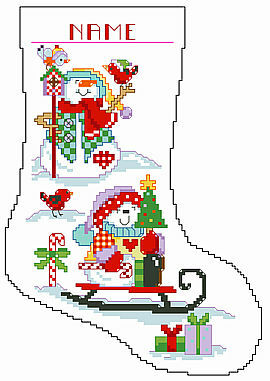 Contents: Stitch Count 71w X 114h, Finished Size 11-7/8" X 19"